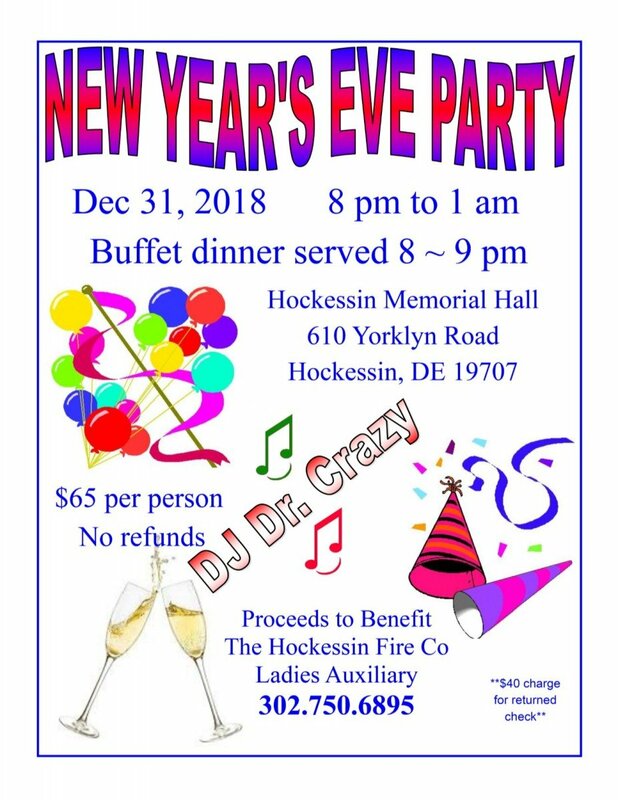 The Hockessin Fire Company Ladies Auxiliary has faithfully supported the Company since the beginning in 1936. From holding fundraisers to supplying food at fire scenes to just being their whenever we need them, the Ladies are a vital part to the operation of the Hockessin Fire Company; and we are so glad to have them on our team! 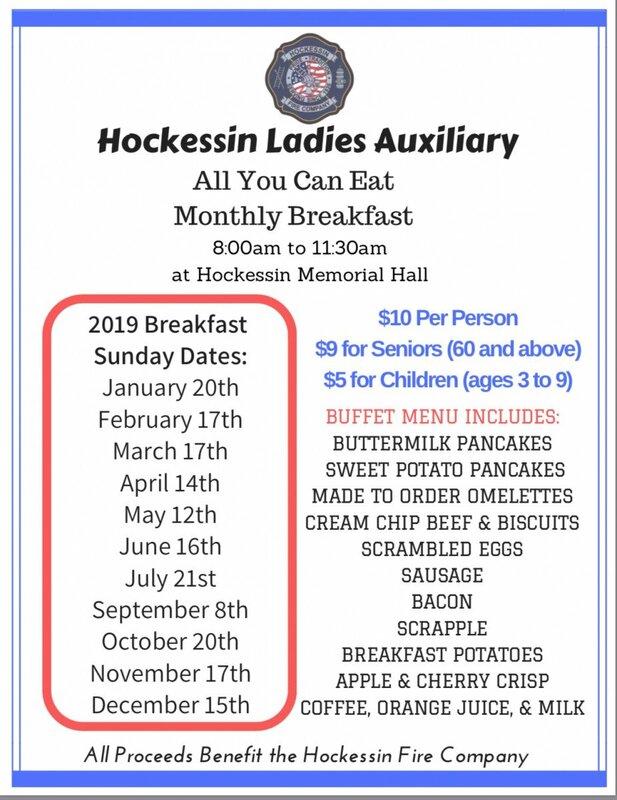 Along with monthly breakfasts in Memorial Hall (schedule below), the Ladies also host an annual Spring Dinner/Dance event and the best New Year's Eve Party in town! Have questions or want to join the Auxiliary, call 239-7748.